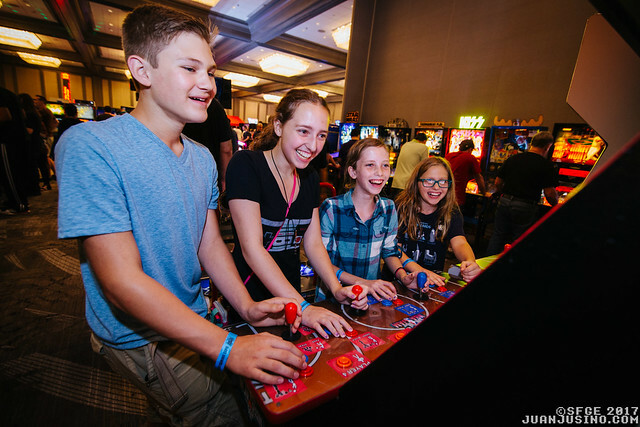 Want to get a taste of what the Southern-Fried Gameroom Expo is like? Take a look at the Flickr album below with photos of our 2017 event from our amazingly talented staff photographer, Juan Jusino! Want to see more? Check out photos from our 2016 event too! Disclaimer: All photos are copyright Southern-Fried Gameroom Expo and Juan Jusino. Unauthorized use is not permitted.